I will post more information and orders forms as these become available. I'm starting a line of coloring and activity books. Each book is breed specific and will have 15-20 pages of coloring pages and different activities. There will be a breed history/description in the front and all answers to the puzzles can be found somewhere in the book, for those not as familiar with the breed. 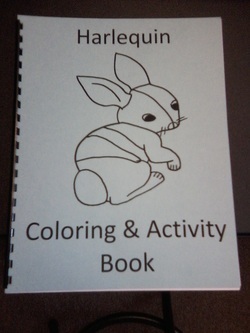 Harlequin Coloring & Activity Book. $5 each. $3 shipping for first book, $1 shipping for each book after up to 5 books. Contact for shipping costs for more than 5 books. 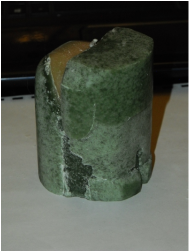 I can carve candles as sculptures or just designs in the sides. Certain breeds I can even make recognizable. :) I'll post pictures as I finish. Keep in mind, breed shape is dependent on the candle shape. I've been getting ideas for other crafts as I've been researching the books and candles. I'll also take suggestions.